In the middle of the nineties the filmmakers of the “Berliner Schule” (The Berlin School) created radically new images of German society. Their films still have so much to say about their country. When you look back at the German cinema landscape of the nineties, you mostly come across banal comedies - relationship crises between men and women, taking place in the yuppie milieus of the big German cities. German cinema seemed to be shying away from the new situation after the fall of the Wall. The year 1989, reunification and all the upheavals that came with it were rarely dealt with on the silver screen. The great social, political and cultural changes occurred more in the East of Germany, the former GDR, in the rest of the country they were comparatively less tangible and obvious. In retrospect, the films of the so-called Berliner Schule can be seen as documents of a society in transition viewed from a West German perspective. 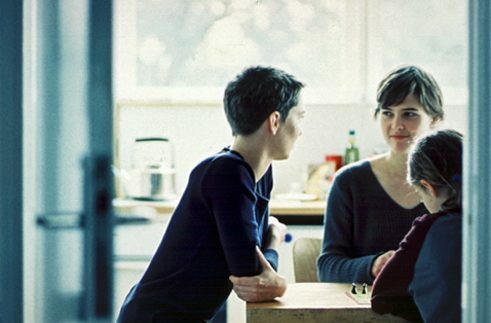 The first films by Christian Petzold (born in 1960), Thomas Arslan and Angela Schanelec (both born in 1962), who all studied at the German Film and Television Academy in Berlin were a sensation. Their more restrained approach to characters, places and moods alone made them stand out from the staidly conventional German films of the nineties. Mein langsames Leben (Passing Summer, 2001) by Angela Schanelec | Photo (detail): © Peripher Filmverleih They reflect an unconscious insecurity, the feeling that history is going down a different road, but one in which people do not know what role they are going to play. It is precisely this uncertainty that at a dinner in a Berlin apartment creates a feeling of hesitancy and again and again causes a pause in the conversation. From today's perspective Mein langsames Leben (Passing Summer, 2001) by Angela Schanelec can be understood as a study of life in West Berlin – a life which had to be redefined after the fall of the Wall. How are we to love, live and work now? It is questions like these that the very personal films of Ms. Schanelec focus on; the answers are to be found in the reunified city. The Kreuzberg films, set in the eponymous district in Berlin (Geschwister /Siblings, 1997; Dealer, 1999, Der schöne Tag / A Fine Day, 2001) by Thomas Arslan have now taken on an almost documentary character. In perceived real-time his youthful heroes and heroines of mostly Turkish origin hang out in the district of Kreuzberg that at that time had hardly been gentrified. They drift through the day, aimlessly, laid back and enjoy the feeling of belonging to the Kiez (the “hood”), which is soon no longer to be theirs. Today the area around Görlitzer Park would be no place for young drifters. Die innere Sicherheit (The State I Am In, 2000) by Christian Petzold in turn is a reflection on the state of the political left in Germany. His symbolisation depicts a small family, a former terrorist couple who, with their daughter, drive through the German provinces in a white Volvo. You get the impression that the three of them are completely cut off from the outside world. “The German Left died two deaths, the first in the “deutscher Herbst” (the German autumn of terror in 1977), the second after the collapse of the GDR. It began to barricade itself in its own infrastructure, in its day-care centres, organic food stores and converted loft apartments,” says Christian Petzold. The fact that they do not tell classic stories fits in with the attitude of these films, because they cannot be put into the context of a large historical narrative. Instead, life moves back onto the screen again, various moods of life in quiet settings captured on parking lots, on the streets of Berlin or in the kitchens of flat shares. It is these precise studies of the prevailing conditions with their bright, clear images that open the cinema audience's eyes to German reality. These films do, in fact, adopt a radically subjective perspective towards their subject matter, in order to once again achieve a general study of a prevailing social condition. This new approach has been critically acclaimed and endowed with the Berliner Schule label. It is not a case here of a new movement like the Nouvelle Vague in France, a grouping of directors who all embrace a particular cinematic vision. No, it is more a case of the Berliner Schule enabling the critics to feel more at ease with German cinema - partly because they are directors who have dealt with German and international film history. On the screen, they engage in a passionate dialogue with their predecessors, because they know that each image is prompted by an exemplary image. The Berliner Schule has triggered a new discourse on the social importance of cinema in Germany –similar to the times of the New German Cinema in the sixties and seventies. In the meantime the term Berliner Schule is barely used. The years in which the directors needed this label to help them along the new paths they were taking are long gone. Their cinema, however, is still full of surprises and dangers, still working on reality no matter what the genre. In his western, Gold (2013), Thomas Arslan recalls the time when Germany was a nation of emigrants, in his wayward thriller, Phoenix (2014), Christian Petzold takes up the story of a Jewish woman who returns to Germany after the Second World War and desperately seeks the old Germany she knew and her old love. Toni Erdmann (2016) by Maren Ade | Photo (detail): © NFP Filmverleih In Maren Ade’s globally acclaimed tragicomedy, Toni Erdmann (2016), an aging hippy-father slips into a painfully embarrassing disguise to provoke his career-woman daughter in the hope of getting her attention. These successors to the Berliner Schule have also helped German cinema, after years of invisibility, once again to achieve international attention - in particular, because the films and their precise view of the world, have a story to tell about their country – Germany. is a film journalist for print, radio and TV. Among other things, in December 2013, together with Rajendra Roy, she curated the series The Berlin School: Films from the Berliner Schule at the Museum of Modern Art/ MoMA in New York. Copyright: Text: Goethe-Institut, Anke Leweke. This work is licensed under a Creative Commons Attribution – Share Alike 3.0 Germany license.